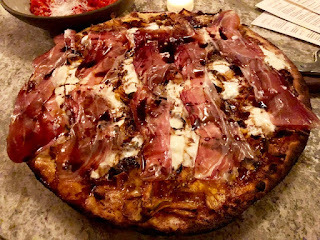 I don't usually get too excited about Italian fare but Barano in South Williamsburg has been invading my dreams consistently since the last visit. Helmed by Chef Albert Di Meglio of Rubirosa, this cozy little spot is churning out some seriously incredible food. Let's start with the pizzas, all of which are made in their gorgeous wood burning pizza ovens. The crust is thin and crispy with charred edges that make a satisfying snap when cut using their special metal pizza scissors. The list of toppings change frequently but I highly suggest the Kabocha Squash Pizza with gorgeous stracciatella cheese, spiced crema and speck drizzled with an aged balsamic vinaigrette. 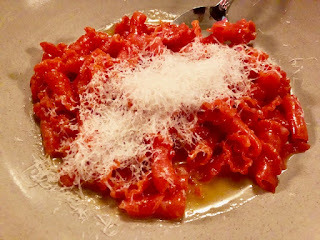 The second thing I love about Barano are their inventive pastas, specifically the Saffron Gigli. These toothsome orange noodles are dusted with a layer of pecorino cheese and black pepper then doused in a Calabrian Honey Sauce. It's both spicy and sweet and a the perfect way to fight through these chilly winter winds. 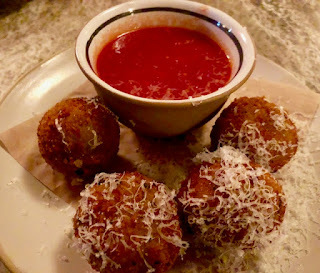 Of course these plump, crispy rice balls stuffed with pesto and mozzarella are reason enough alone to love Barano. But I suggest snacking on them during happy hour when cocktails, beer and wine are all served at a ridiculously great price. Barano even boasts one of the best beer lists in the city with hard to find bottles from American Solera, Grimm and Suarez dotting the menu on a regular basis. This just a fantastic spot in Brooklyn and one I plan to keep on my regular rotation all year long.